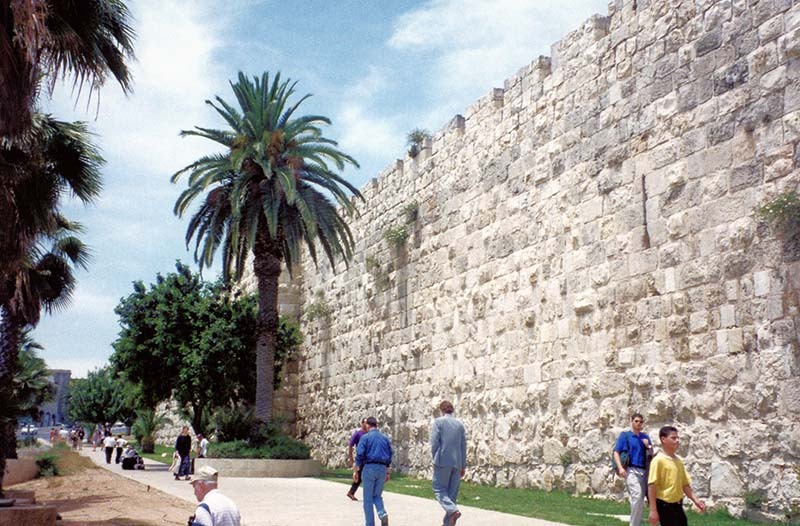 The walls of Jerusalem have layer upon layer of repair work, replacing older stones that were destroyed by enemies. You can see the differences in shading and texture of the stone blocks. 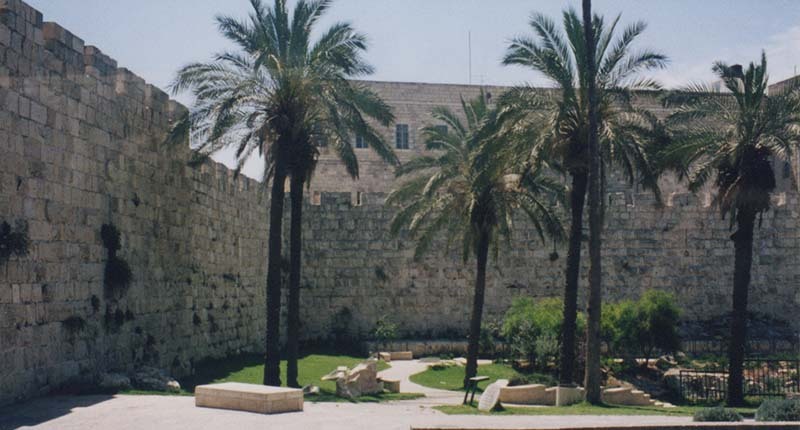 In the photo below, you can also see a mustard tree right behind the tall date palm tree. Note how much bigger it is than the people next to it. Oh my Jesus, be the gardener of my life! Nourish the seed of heaven that You have already placed within me and make it grow so that Your love, Your ways, Your kingdom will grow within me. Amen!